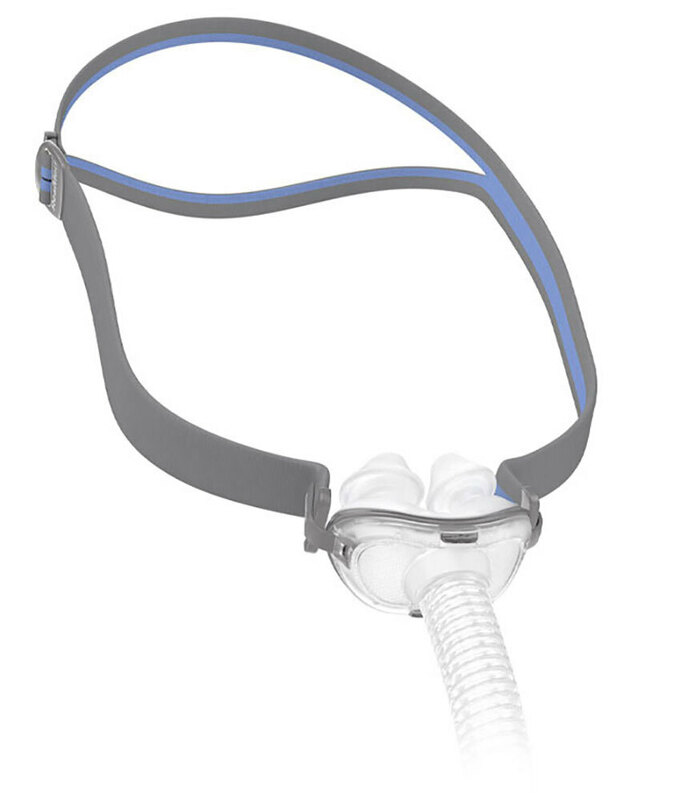 The ResMed AirFit™ P10 Nasal Pillow CPAP Mask with Headgear provides comfort and simplicity in a light-weight design. The QuietAir™ woven-mesh vents offer diffused exhalation making for an extremely quiet experience. This comes with small, medium, and large nasal pillows.
? If you select the option to Buy without a Prescription, this mask will be added to your cart in 2 parts: the mask frame and headgear. The Non-Rx package only includes 1 size pillow.
? Medium/Large fits most males and Small/Medium fits most females. If you aren't sure of your size, consider adding an extra nasal pillow of a second size. 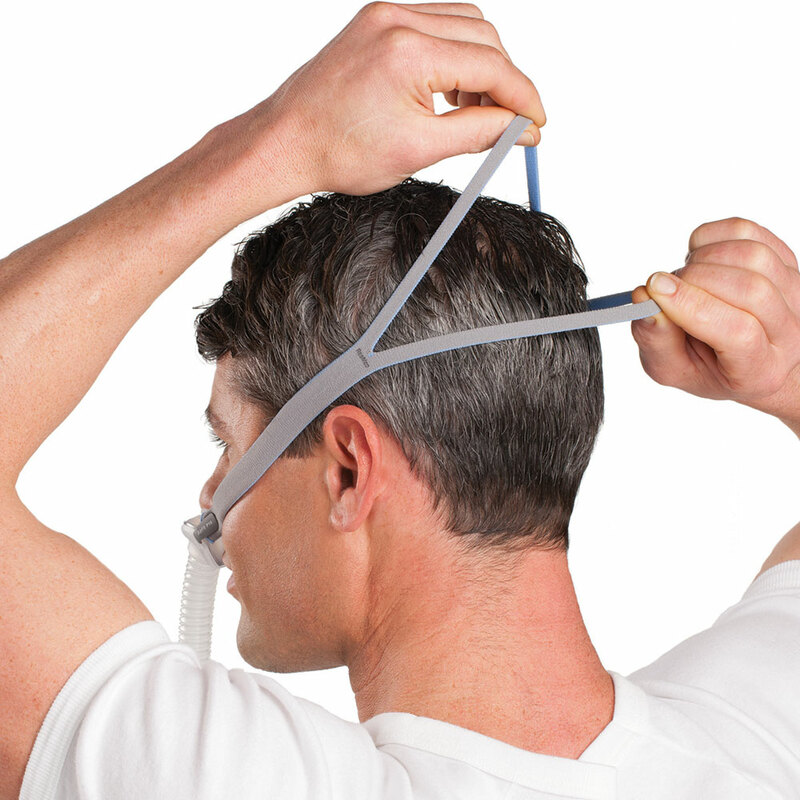 The AirFit™ P10 dual-wall nasal pillows are designed to adapt to movement. The stems of the nasal pillow easily compress up and down to allow for a comfortable seal to be maintained as sleeping positions change. The pillows feature a lettered size indicator as well as an "L" and "R" to help properly orient the pillows. Included are three sizes of pillow: Small, Medium and Large. First off, this is similar to the mask I've happily used for several years called Aloha. I've been using this mask and headgear for a month and am shopping for a different one. I liked the lightness of the headgear but it was just too easily moved out of place when I was sleeping. My hair moves under those little straps so I'm continually waking up and readjusting. This also causes leaking, which means noisy hissing, which means interrupted sleep. Unacceptable. One size fits most� is a terrible standard for intimate apparel. If an item worn on one's head while sleeping to hold a medical device in your nostrils isn't intimate� and apparel� the words should be redefined. 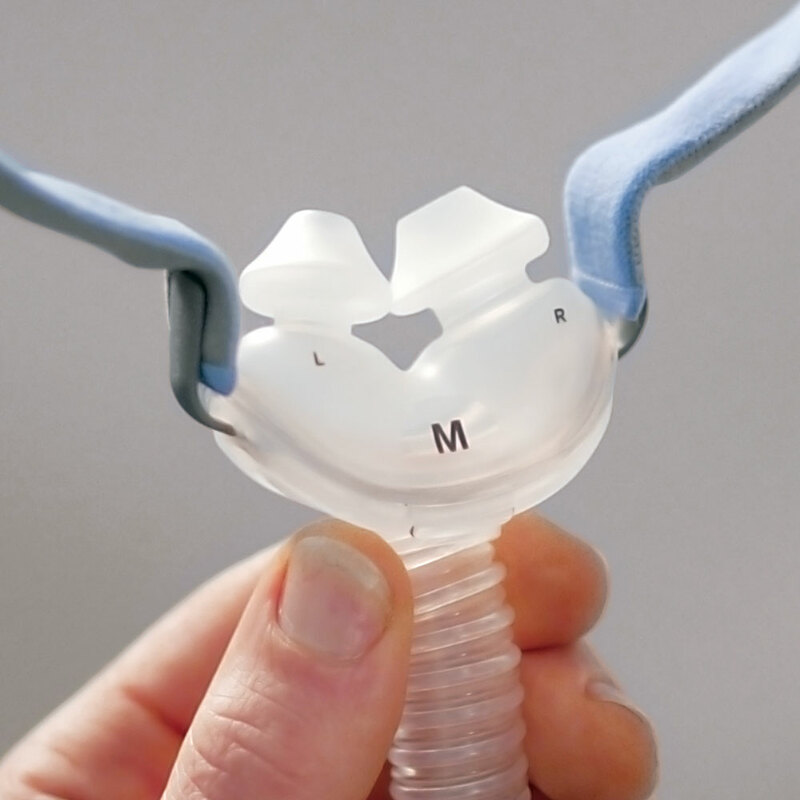 The Resmed Airfit P10 is painfully small for me. Only by stretching the split straps 180 degrees away from each other, on my forehead and the base of my skull, can I loosen it enough to achieve a proper fit. Having a full head of fine, straight hair, there's not enough friction on my head to keep the straps from relaxing to a less stretched position which forces the nasal pillows painfully against my nostrils as I roll in my sleep. It is quieter with regard to exhaust air and there is no stream of air to disturb my wife. I received my new Air Fit mask about 2 weeks ago. I love it, it's almost like not wearing a mask at all. 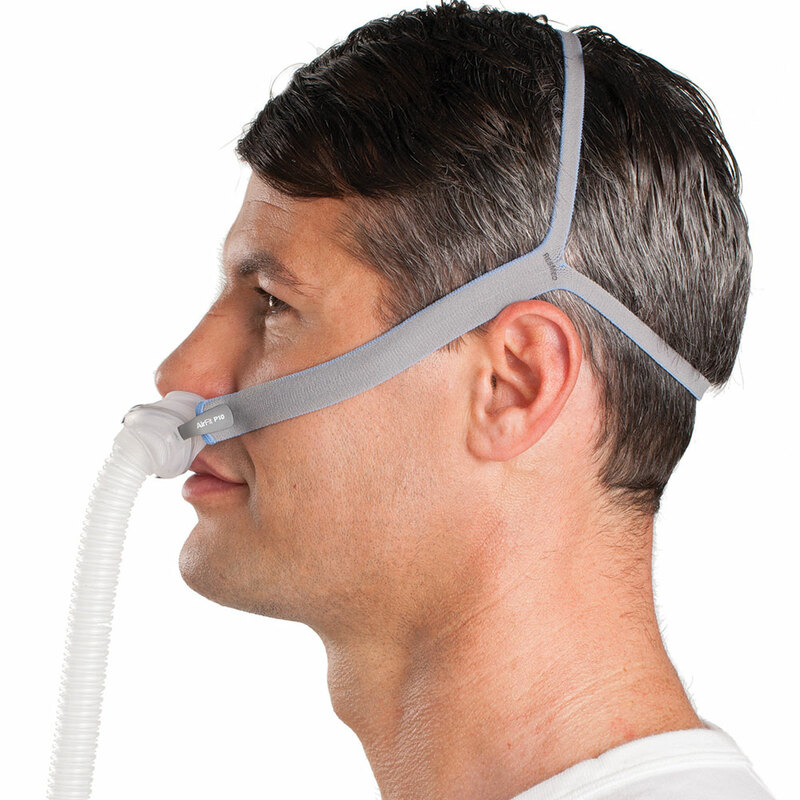 I have been using a CPAP for nearly 15 years and this is a super mask.